My computer does not want to write in Hebrew any more so, no choice, here it comes in the holy latin A(lph)-B(et). 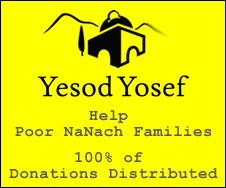 Ronel and his mother Fanny want as many Chaverim/ote to come with their children as possible. There will be Israeli families curious about Na Nach, new dwellers of Ebay Ha Nachal who will be partying since 12:00. Horse rides etc... Hoping to have alot of food and beverage-( for those who can still stuff themselves) I'll play guitar if no one arrives with a Hafatsa Mobile. Ron is going to want to do Hafatsa with someone so maybe it's a good time to introduce yourselves to him. Please write this in Hebrew someone!